and guided by Carol Lima, tourism professional with a passion for cooking. Beside her we’ll experience the charms of São Paulo, discover the infinite wildlife of the Pantanal and let ourselves go by the clear waters of Bonito. All this, while the palate feasts on flavors and our creativity feeds on new adventures, transformative experiences and lifelong learning. Arrival at São Paulo airport. Currently, a metropolitan area where 22 million people live, São Paulo is one of the most intense and diverse cities in the world. The great variety of immigrants that arrived from the late nineteenth century, transformed it into an important center full of contrasts; its wide-ranging architecture, its infinite gastronomy, the large number of museums, art galleries, shops, the old, the new, the fashion, the design, make the cultural and leisure offerings of this metropolis endless. After our arrival, we will have a free afternoon to rest. We can have lunch somewhere recommended by our author and guide, such as Chef Oscar Bosch's Tanit Restaurant, winner of the best chef of the year. We also recommend visiting the Pinheiros market, small in size, but large in variety and the most charming in the city. Later we meet in the lobby to listen to the introduction to our gastronomic journey and then we go to Tordesilhas restaurant, where Chef Mara Salles will prepare a special dinner for our group with typical Brazilian ingredients. Meanwhile Ivo, who is the sommelier, will give us a small class on national cachaças. We will enjoy a delicious menu while we begin to understand what Brazilian gastronomy is all about. After having breakfast in our hotel, we will go to the School of Vilma Kovesi, pioneer and visionary when opening a cooking school in São Paulo in 1985, after noticing that many adults left home without knowing how to cook. She decided to open this creativity center that seeks to demystify the kitchen and make all, simple and advanced techniques, available for students to learn to follow their instinct when cooking. Here, we will have a wonderful show class with the school team and then have lunch. With a full stomach and a happy heart, we can enjoy the afternoon freely for strolls around the city and explore the cultural and gastronomic offers obeying our own curiosity. Carol will be available to help with recommendations. In the morning we will fly to the airport of Campo Grande, capital of Mato Grosso do Sul. Here a van awaits us to take us to our next destination in the Pantanal: the largest flooded plain on the planet and an extraordinary wildlife reserve. The variety of birds is huge, the fish are abundant and there are a lot of species such as alligators, deer, capybaras, anteaters and even jaguars; everything within sight. We will make a stop in the municipal market of Campo Grande to know the local and Cerrado’s products that the indigenous community brings to sell. And whoever is already hungry, this is the perfect place for a snack. After the visit, we continue in the van to the Fazenda Corixão, owned by a typical Pantanal family that will be waiting for us for a succulent lunch with ingredients produced right there. We continue until the fazenda that will accommodate us, where Rita and Doio will welcome us with a refreshing juice. We check in, we rest, and in the afternoon, we go for a walk to Vazante do Castelo to observe the sunset and the wild life around us; birds and alligator are frequent visitors of the bays, which also attract mammals at the beginning and end of the day. We dine pantanera style and go to sleep! Right after breakfast we will start preparing fresh cheese; we will let it soak for 2 hours. 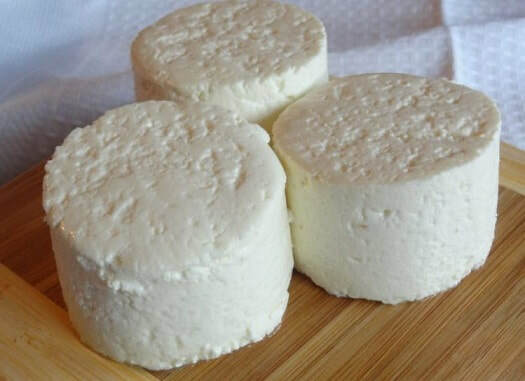 Later, we return to finish preparing our fresh cheese and we also start the Nicola cheese. Surely our appetite will be well open, so we proceed to have lunch at the fazenda and maybe take a little nap. In the afternoon we will go on safari around the property in a 4WD vehicle; this is the perfect opportunity to observe the wild life and the dazzling landscapes that serve as the backdrop for this sensory experience. Dinner and accommodation. We start the day very early with a walk through the area, to connect with the magic of nature in its awakening. We come back in time for breakfast and start our activities. The first thing we are going to do is finish our Nicola cheese, which we let soak all night. After a very hectic morning with all the preparations, we will make an outing of about two hours on horseback beside the waters of the Vazante do Castelo. Here we will have a delicious barbecue in the countryside, a perfect opportunity to contemplate the landscape and relax! We return to the fazenda by car to make a small break and rest, because at the end of the afternoon we will do a piranha fishing activity while enjoying the sunset. The piranhas we caught will be used to cook a delicious broth at dinner time, which will be accompanied by other dishes. We have breakfast and we proceed to check out, because a new destination awaits us today. We leave the airfield as we fly to the city of Aquidauana. This overflight is one of the most exciting points of the trip, because it is the perfect opportunity to see from the heights and understand the wonderful geographical phenomenon of the Pantanal! In Aquidauana, we will make a brief stop before continuing by car to Bonito, a municipality in the state of Mato Grosso do Sul, famous for its ecotourism and its magnificent natural landscapes, especially the aquatic in whose rivers of crystalline waters you can descend floating or diving while appreciating its varied wild life. We arrive directly at the pousada and we will have the afternoon free to settle into this new location and assimilate everything we have seen and felt so far. We leave the pousada for a fascinating snorkeling journey that will take place in the middle of many schools of fish in the Recanto Ecológico do Rio da Prata. Upon arrival we receive orientation and equipment. We will be surrounded by piraputangas, dourados, curimbatás, piaus, matogrossinhos and other local fish. On the way we will stop at the Vulcão Olho d'Água, a place where you can dive to feel the water that flows from the bottom of the river until we meet the Rio da Prata. We will continue the last section floating in the water or in a support boat (it is our choice to go floating in the current or go on the boat). After lunch we will visit Cachaçaria Taboa, where we can taste twenty varieties of Taboa cachaça (rum) and visit the store where we can buy unique bottles of Taboa with varied sizes (50ml to 700ml) and prices, in addition to unique crafts made in the factory. We return to the pousada to rest. This last day of adventure will be free to enjoy the way that best suits our mood. We can choose between optional activities or simply rest in the beauty of the landscape and accommodation. Going for a walk in the surroundings is already an activity full of interesting details. And at night we get ready for our big farewell dinner at the best restaurant in Bonito, Casa do Jõao. Here we will get together to enjoy the delicious food in the best atmosphere, and together with our guide and companion Carol Lima we can make an account of the experiences we lived, what we learned, and the best of this gastronomic immersion in Brazil. We leave in the morning to Campo Grande where we will depart to the next destination. NOTE: Menus and recipes can be adjusted and adapted according to the needs of the travelers, which must be informed in advance. With more than 15 years of experience in tourism in Brazil and Spain, Carolina Lima combines her professionalism with an insatiable curiosity for new discoveries - especially in the food and beverage areas. Born in the Pantanal, her interest in flavors was initiated with the typical Pantanal recipes, such as carretero rice, caribéu, paçoca farofa, and other regional delicacies. She has lived in Barcelona for 8 years , where her passion for gastronomy found a home. Carol always seeks to discover new flavors, places and people, and all this is offered by Cataliña. Here she specialized in small producers of olive oil, wines and "terroir cooking". Sharing gastronomic experiences with people is the goal of the company that created: Hi Olive! Welcome to Barcelona! Operator makes it compulsory that all participants be covered by appropriate travel insurance. This insurance should include the following minimum requirements: emergency medical expenses and assistance service, medical repatriation and transportation, as well as burial, cremation or return of medical remains. Operator recommends extending the insurance to include additional benefits such as cancellation or curtailment, personal accident insurance, lost luggage, delays, etc. Led by Specialist Chef Carol Lima from day 1 to day 9 of the trip. Closed, waterproof and comfortable footwear to take walks in nature, as several sections are held in places that may be wet and with insects. A 5-10kg backpack for activities, leaving the rest of the luggage at the pousada. If you have a raincoat with possibility of putting the bag inside is better. Insect repellent, flashlight, raincoat, swimwear and sunscreen all year. A bottle to drink water, avoiding the use of disposable containers. Travelers might use light clothes, but long pants and long sleeves to protect against insects. Travelers need to get advice from their local center of international vaccination before travelling. Pantanal treks are varied and take place in different areas depending on the season (dry or raining). Treks are usually flat (or almost flat) and easy. They are short in distance (not more than 2km), and their duration is less than 2h due to the hard climate conditions with high humidity and heat levels.